Once you have your initial data about the third party, it is time to assess the risk and assign a risk classification to each vendor or third party. You will need to be methodological in your approach as regulators are expecting to see a robust, well designed structure. A risk assessment can be conducted in many ways including manual classification with documentation on why you have taken a particular risk view, to questionnaires to third parties with scoring, to more robust scoring using a risk matrix with a weighting of factors. Risk scoring is the process of giving a value to the level of risk a third party represents. The total risk score is built on multiple values. Depending on your model, the structure and content of the total score may be a complex process but it is essential if you are to deliver an accurate assessment that will protect the organization. The MCO solution delivers the risk score through our Risk Transparency Matrix (patent pending) which allows an organization to evaluate a vendor on anywhere between 1 to 10,000 data points! This initial risk classification will typically deliver a small number of levels of assessment of the third party such as low, medium and high. Others segment into low, medium, high and critical classifications. 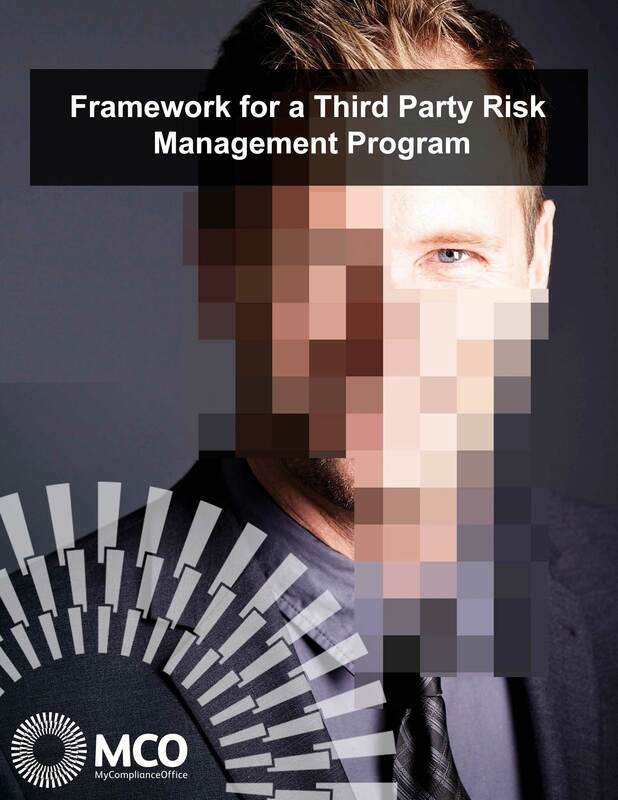 The solution should be able to grow as often you will want more sensitive classifications as the of the third party risk management program matures. The initial classification during the setup process would typically determine the degree of ongoing due diligence and monitoring within the program. Higher risk classifications may also initiate a deep dive assessment of the vendor. Once you have assessed, scored and classified your third parties, you will then want to implement your ongoing due diligence and monitoring processes. Risk scoring and risk assessment is only one part of an effective third party risk management program. Click below to learn more about the other essential elements of a third party vendor risk management framework. "Thanks to MCO we are now confident that all our third party vendors have been properly screened and on-boarded with the best standards of due diligence ." CCO - Top Tier Multinational.